MTRWESTERN is the premier provider of private transportation solutions in Eastern Washington; our Spokane station connects the Pacific Northwest metropolitan areas of Portland and Seattle to Greater Inland Northwest communities in the Spokane Valley, Coeur d’Alene, Idaho and beyond. For safe, reliable, affordable and stress-free travel, MTRWESTERN delivers time and again. With the rapid growth of Spokane, infrastructure capability is at high concern. MTRWESTERN specializes in transportation solutions providing charter transportation throughout Greater Spokane and the Inland Northwest. MTRWESTERN assists construction companies and major employers with first mile/last mile transportation solutions that remove hundreds of cars from highly congested areas. 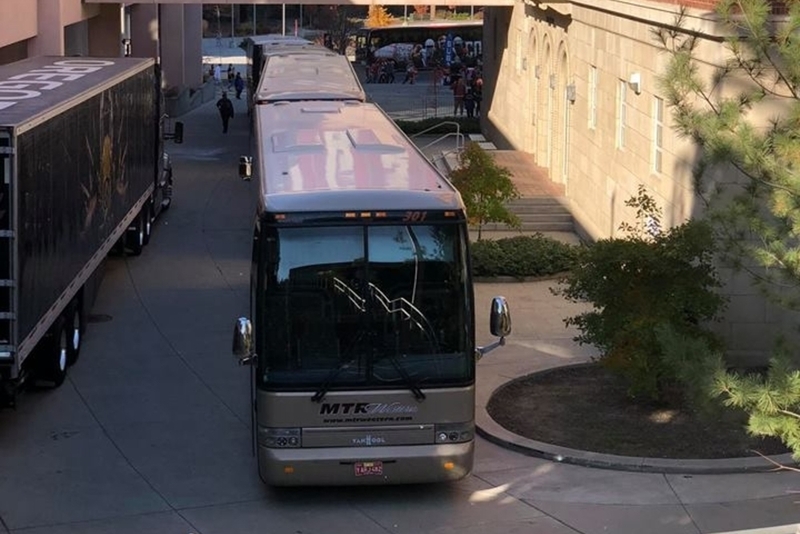 When conventions are in town, MTRWESTERN guests ride in style from Spokane International Airport, to the Spokane Convention Center, area hotels and all related excursions. For one-time events like field trips, church outings, weddings and family reunions, MTRWESTERN ensures a memorable, once-in-a-lifetime experience. When you book with MTRWESTERN, you receive world-class customer service from the very first call forward. 24/7, you can reach a live person via our toll-free customer service line. Our drivers are recruited, screened, and trained to uphold the highest safety standards in the industry while providing you with outstanding customer service and hospitality. They know their way around the Pacific Northwest landscape, from steep mountain passes to congested city streets, and are well versed with the pickup and drop off protocols for all stadiums, parks, hotels, convention centers and other destinations. Our safety record and maintenance programs are second to none, meeting or exceeding all OSHA and Federal Motor Carrier Safety Administration standards. Learn more about our commitment to sustainable transportation and environmental responsibility. MTRWESTERN is ready to help you plan an event or build a customized long-term transportation solution; we look forward to hearing from you. Need a one-time event or a long-term transportation solution?